What exactly is a FixMeStick? Well when you have a computer and it's not acting right, you plug in this little device called the FixMeStick which is the size of and works like a flash drive. It's really that simple. Have a virus? Put the stick in the usb slot, wait for the pop up that comes up and says run, click run, and your fixed. I tried it first on my mother in laws computer. Her computer is so far gone that when I used it, it pretty much only sped up her internet the rest was still really bad. I plan on trying it again on her computer within the week and see if it needs more then one treatment if possible. I then tried it on mine as far as I knew I didn't have any issues, yeah my internet was slow sometimes and would lag, but I have an older computer so didn't think anything of it. I plugged it into my laptop and sure enough I had an infection (as the FixmeStick calls it) so it quarantined it and now my internet runs better and programs on the computer also seem to come up faster. I feel it works, and it's nice because you do not only have to use it on one computer you can use it on all computers unlike other computer virus blockers like Norton where you pay a huge fee and it only protects the one computer. Instead of wasting your money on paying someone to fix your computer every time you get a virus, or paying to keep them blocked off check out the FixMeStick a one payment protector. FixMeStick can be purchased here for $59.99 and it can be used on up to 3 computers/laptops an unlimited number of times, for up to 1 year. Or you can purchase the FixMeStickPro for $299 and it works on an unlimited number of PC's for one year. 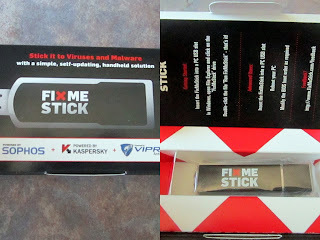 FixMeStick works when other virus removal programs won't because it's an external device, most of the time when you have a virus, the virus stops you from being able to download a virus remover. That's when the FixMeStick is used. One of the readers of 7 Kids and Us is going to win their very own FixMeStick! Please enter using the rafflecopter form below. Giveaway is open to US residents only. Disclosure: I was given the FixMeStick to help with my review. All opinions are 100% mine. 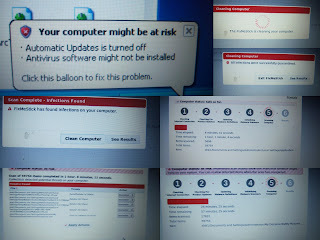 Between my kids and I, I'd say every 4 or 5 months we get a virus. About once or twice a year. Not very often, I am the one they call when they get their viruses. Not very often maybe once a year . None yet. I try to be careful. So far 2x this year! Not often because I'm careful, but I'm always worried! I don't get them often, but I hate when it happens. from 7 Kids and Us. Get your FREE Adventures By Disney Brouchure! Are you looking for GREAT Gift Baskets this year? Twistmo Wall Decals and Giveaway! Spiderman Decal by VinylVanquish and Giveaway! Skinny Pop Popcorn Review and Giveaway! Recycle?!? November 15th National Recycle Day! Free Hair Cuts at JcPenny Every Sunday! A Toy Rental Company??? WHAT?? How Cool! Green Giant Steamers Review and Giveaway! Mary Kay Make Up Makes A Great Gift! Bidz.com, a GREAT Place for Christmas Shopping! I Won $20!!! See if you are a winner too! FREE Disney Vacation Planning DVD! $10 Papa Johns Gift Card for $5! Save up to 90% at Totsy.com! FREE Butterball Turkey At BJ's!